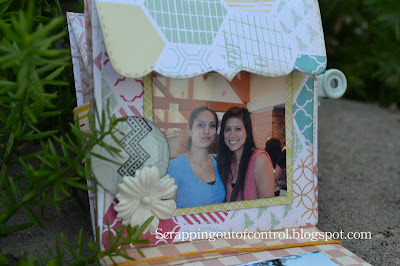 Welcome to Day #4 of the My Creative Time Sneak Peek Week!! 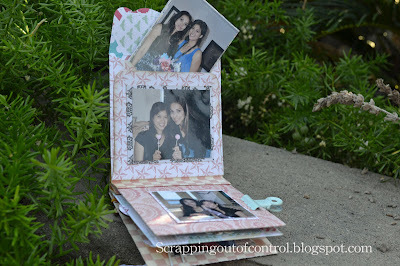 Im so excited to share todays project with you! We are show casing the new 3 by 3 Fancy Envelope and Tri-fold Card. These are some awesome dies!!! I had way too much fun playing with them! 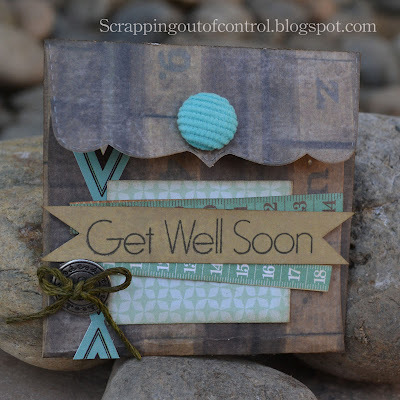 Today I created two projects using the envelope die. 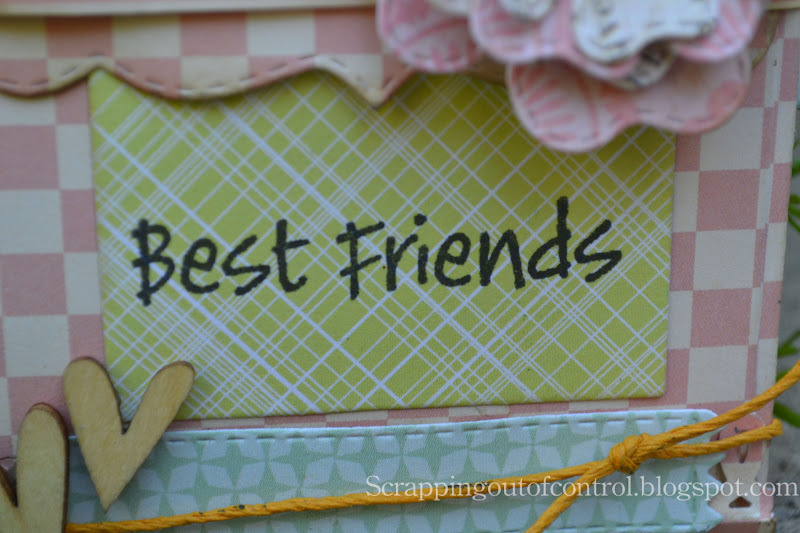 My first project is a card/gift card holder for a special friend. The envelope does not hold a standard gift card but a paper gift certificate will easily slip inside. For my second project I made a min album using the die. The album is put together using the accordion fold binding. The mini is held together using a paper belly band. 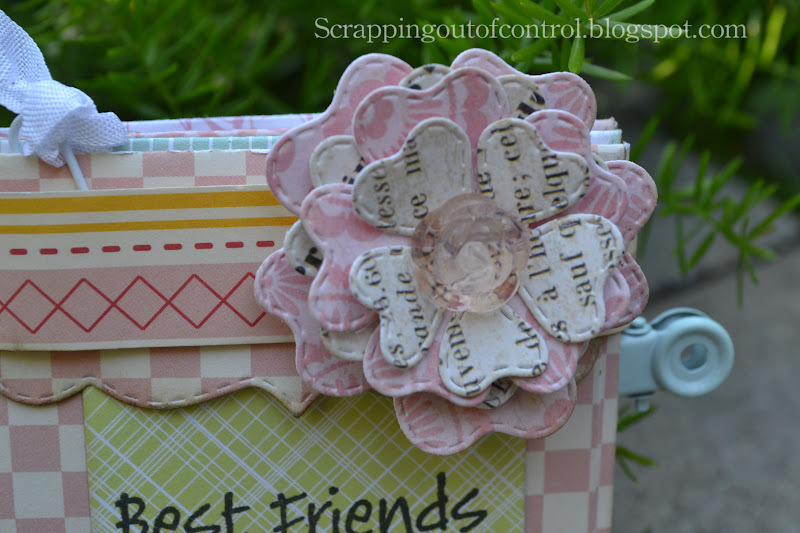 I will have a tutorial for you tomorrow on the accordion binding. Cute right?? I love it so much!!! These are so much fun to make. 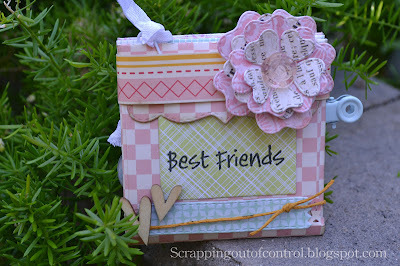 Don't forget to come back tomorrow and I will show you how to bind the book!!! Thanks for stopping by and don't forget to visit the design team for more inspirational ideas! Big Crafty Hugs! What a great idea! Your paper choices were very beautiful!!! I love it!!! This is a definite must have as well!! 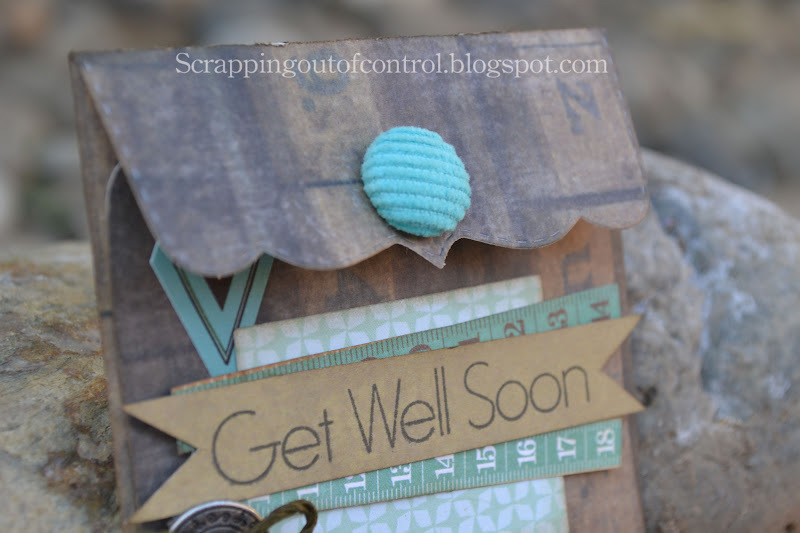 Beautiful get well card! I love the paper you used for it. Your mini album is gorgeous! You are so creative in thinking to make a mini album :) Thank you for showing another way to use the new dies! I can't wait to get them! OMG how awesome are these!!!! LOVE the card and LOVE the mini! Such a great idea!! TFS a GREAT week of sneaks!!! You helped me think of using these dies in a whole new way. I love your creations. Awe, precious designs. Love what you did with the photo album. I love your card and envie, so pretty! 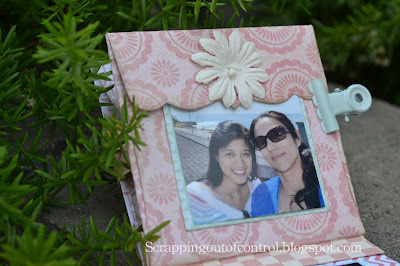 But it is the mini you made with the envie that has me blown away! I can't wait to see your tutorial tomorrow!! Thanks for all the wonderful ideas this week! Great card and I really like the mini album! Wow! You're album is just amazing! I can't wait to see the video tomorrow! Love the mini album, it's gorgeous!! Both of these projects are very impressive. I love the photo album. It is amazing, and I cannot wait to check out how you did that tomorrow! Nancy ~ Okay the Get Well card is just PERFEECT and comforting! Whoever receives this will feel better instantly! That mini is beyond FABULOUS!! WOW! WOW! WOW! You know I LOVE the papers and concept ~ ALWAYS! What a BEAUTFIUL way to cherish a friendship!!!! WOW!!! I can't wait for tomorrow for the hop and to see the tutorial!!!! I L <3 V E that mini album! Such a great gift. 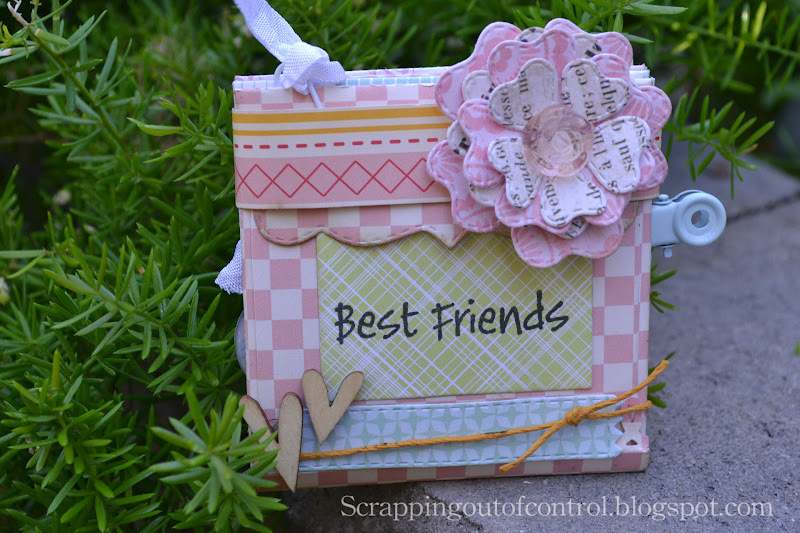 I love your projects they are both so pretty! Creative mini album. Great new release. Very cute!! I love your book! Wow amazing and creative!! Love all the details!! Great projects! 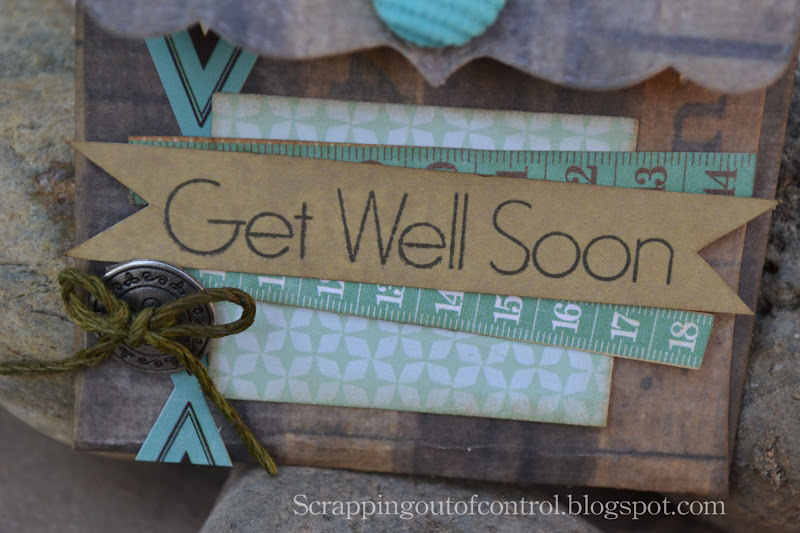 I really like the paper on the get well card. TFS! Amazing projects!! Love the new dies!! Can't wait to see the video. Love love love your mini. Great use of the die. 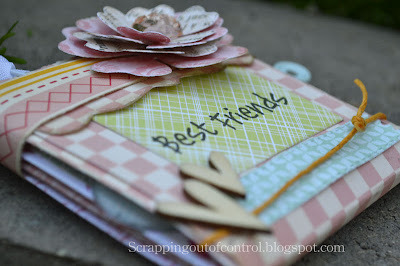 Also love the colors and textures on you card. 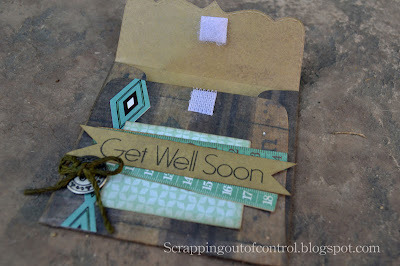 Love the way you used the envelope die - so creative! oh my!! I don't even know what to say but.....awesome!! 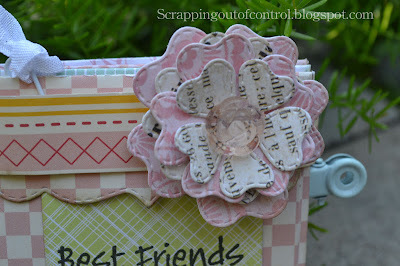 I love all the details, papers, colors pics and all! thanks can't wait to see how to put the book together tomorrow!! 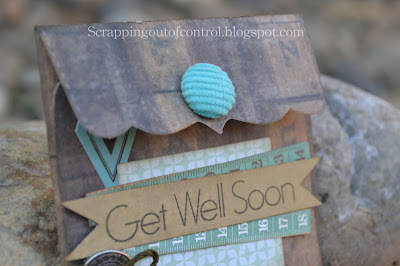 Love how that button looks on that dark paper...great gift envelope sure to bring a smile to the sick one! The mini album is amazing...What a clever idea! Great job! What a wonderful idea for a minialbum. Love the little envelopes. So Beautiful!! 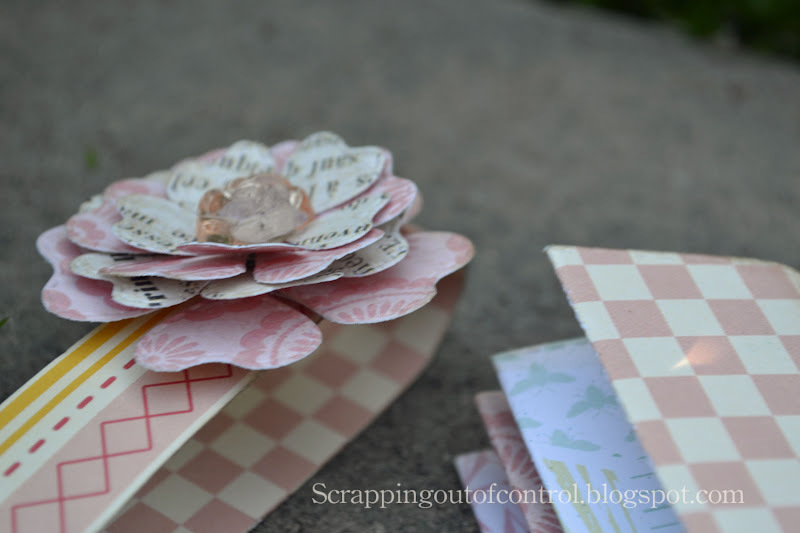 !What a Fabulous and Fun Idea!Love it! OMG!!! I LOVE THIS, THANKS FOR SHARING, THE DECORATION IS AWESOME!!! That mini album is so awesomely cretive. I never would have thought of that in a million years. Thanks for the fabulous inspiration. Wow! Love the mini album, it's totally awesome. Those papers are so beautiful. And the card is awesome as well. When I get my goodies from Emma, I have got to stop back and steal...I mean, be inspired by, your projects. I love your beautiful card and album. TFS. OMG What a sweet mini album! 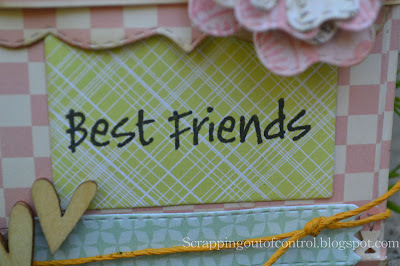 Card is wonderfully vintage! Thanks so much for sharing! Now I have to come back tomorrow. So inventive, love it! FANTABULOUS!! both of these projects have left me inspired! Wonderful! Love the mini album using these dies. I can't wait to get one. You did an awesome job with today's project. I will come back for the tutorial. Wonderful card holder and mini album! LOVE YOUR MINI ALBUM, SO perfectly cute. AdorBle projects!!! Thanks for sharing Nancy! All of your cards and projects are absolutely Awesome!! You are blessed with so much creativity. Thank you for sharing. WOW! What an awesome mini album. Fantastic job. Oh, I love your album!!! :) Those colors and that flower are GORGEOUS!!!!!!!!!!!! Oh my word these albums are just as cute as can be. GREAT GREAT GREAT JOB.